I was a late starter as far as understanding that I needed to look after my body if I wanted to continue living a healthy life. I was lucky enough to feel so bad that I actually took the steps to get myself in shape physically and mentally. The Health & Lifestyle section is about what I have learned and what I practice. You can have a laugh at it or maybe get some good advice from it but the choice is yours. The usual disclaimers apply. I am not a doctor or a chemist or a health & fitness expert. What I practice may not be suitable for you, but these are things I have picked up over the years and Im still here to prove it. Read more: Fat, Unfit and Forty! Started a very light exercise routine. After only 1 month I was noticing the changes in many aspects of my life. Previously I had been so tired that after coming home from work I just fell asleep on the sofa until it was time to go to bed. What kind of life was that? With my new regime, I was coming home, eating and then wandering around the house looking for jobs to do or I was going to do some exercise on my multigymn or going for a jog. These are all things that I would never have thought to do before the change in routine. Well, up until 6 months ago, I hadn't meditated in my life. I knew very little about it and thought that it was something out of the sixties that people did as a some sort of fad or fashion. I had been picking up snippets of information from some of the online marketing gurus, who were explaining that if you are going to be a good all round marketer you really need to start with yourself. Once you learn to understand yourself then its a natural progression to be able to understand how other people think and operate. I have some friends who meditate and so I asked about how to go about it. My Spanish friend Andres lent me a book (forgotten the title). It was an easy gentle read but the main theme was that to meditate properly for it to be a benefit, you need to put a lot of time and effort into it. I was still interested but before I got started with my humming and cross legs I came across a system called Holosync which stated that it used advanced techniques to mimic how the Zen Monks developed their meditation skills and it can do this in a much shorter time than the years that it takes a Zen Monk. That sounded more like it! I ordered their FREE Audio CD and was sent tons of information to read as well as the CD Demo. I eventually bought the program and use it daily. It has changed my life. I am more calm and receptive to things outside my own requirements. The whole experience is just mind blowing so I do recommend that your get the Free Audio CD and also read about it for yourself. For me to explain how it works in a blog would take me forever and I cant do it as well as Bill Harris the creator of the Holosync Solution so Im just going to add the link below for you to make up your own mind. Please leave comments and questions if you are interested in this subject and I will answer with my direct experiences of Holosync. A lot of people ask me what vitamins I take because I never have to go to the doctor and don't get colds. Its not all about the vitamins but they certainly play a big part in my health regime. I've been taking vitamins regularly now since 2000 which at the time of writing this is 10 years. It all started when I read the Atkins book which is full of great information that regardless of the hype about the Atkins Diet, I think people should read it to help understand what is going on when they eat junk food. Later I was introduced to The Optimum Nutrition Bible by Patric Holford and more recently to Breakthrough - Eight Steps To Wellness by Suzanne Somers. These book are what has helped me form my opinion on what vitamins are best for me. Also 10 years of testing doesn't do any harm. When I first looked around for vitamins, the high street shops were certainly lacking in variety and strength of products so I looked to the Internet to buy my vitamins and have been buying regularly now from www.zipvit.co.uk as they have great prices, great products and delivery is excellent. They now ship to me in Spain and it usually only takes about 3-4 days for my order to arrive. I usually only order once a year but spend about 200 GBP but its certainly worth it when you break it down. Its less than 20 GBP per month. They charge about that much locally here in Spain for a 90 tablet bottle of Vitamin C 1000mg. OK, so on to the list with a little explanation why I take each vitamin. Vitamin C 1000mg 1 Daily - I sometimes take 5 if I have a hangover. Vitamin B Complex Various 1 Twice a Week. It stinks and makes your pee turn orange but has all the B vitamins that are really necessary for maintaining good health. Practitioners Lutein Plus Various 1 Daily. This is a mixture of herbs that are good for your eyes. I also take some other things that dont really come under the vitamin banner. Thyromine This is a concoction that is designed to help if you have an underactive thyriod. I use it now and again if I am really run down. HGH Energizer This is another mix of herbs and vitamins designed to boost your energy. Bowtrol A herbal laxative. Its important to stay regular and this stuff is excellent. Echinacea I used to take 3200mg daily during the winter but don't seem to need it now. On a recent trip to UK I caught a bit of a cold on the first day and killed it by taking 7 x 500mg pills for 2 days. Unbelievable flavours you get from juicing! I just had juiced beetroot, carrot and celery from the juicer. It's unbeleivable the flavours you get. I thought raw vegetables would taste crap but it's the opposite. The taste is brilliant. The other day I had carrot, apple and celery and it was really sweet! Great for your health. Needless to say, I am a juicing convert. Anyone got any recipes to share here would be great. 2. Go to the toilet at least once every day - If you don't then you need to do something about it. 3. Take some kind of vitamin to boost your immune system - we dont have enough in our food these days so you need to do something. 4. Do some light stretching exercises in the morning. - as much fresh, unprocessed food as possible. 1. Dont drink Coca Cola or other sugar based drinks - They are full of crap that will eventually kill you. - They too are also full of crap that will eventually kill you. They have no nutritious value to your body whatsoever. They only serve to quell your appetite temporarily, increase your insulin levels and make you hungry sooner. This causes an endless cycle of desire to eat more and it will age you quicker. This is an extract I have taken from the Life Extension Organisation. Since the year 2001, Life Extension® has been seeking a way to reverse a mechanism of aging that may not be adequately addressed by the healthy lifestyle choices most members currently follow. Normal aging is accompanied by a noticeable increase in fatigue and loss of motivation. The tiredness we outwardly feel reflects inward impairment of cellular functions critical to sustaining life. NAD+ is the term used in the scientific literature to describe a cellular compound called nicotinamide adenine dinucleotide. functions. It is also required to “turn off” genes that accelerate degenerative aging processes. As NAD+ levels decline, mitochondrial function is impaired, resulting in fewer mitochondria surviving. This vicious cycle of mitochondrial depletion results in many of the physical symptoms of aging. The challenge that Life Extension have faced over the past 13 years is finding an efficient way for aging humans to affordably boost their NAD+ cellular levels. In 2001, one of their researchers developed an effective NAD+ boosting sublingual lozenge, but it only maintained stability for a short time period. As you’ll read in this article, an effective NAD+ cell boosting technology has finally become available. Prominent universities have been investigating NAD+ as a potential therapy for age-related degenerative disease. Compelling research shows that NAD+ has a unique ability to protect tissues, induce DNA repair, and increase life span. It has long been known that NAD+ plays an important role in transferring energy released from glucose and fatty acids to the mitochondria so that it can be converted into cellular energy. 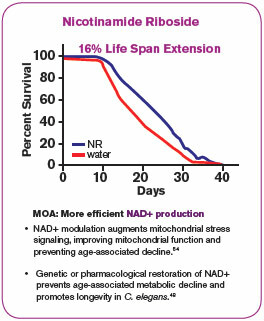 Without sufficient NAD+, energy transfer in the cells breaks down, resulting in age-accelerating mitochondrial dysfunction. NAD+ is an essential cofactor of key enzymes responsible for longevity called sirtuins. While resveratrol is well known for sirtuin activation, evidence indicates it does so indirectly, whereas NAD+ directly activates sirtuins to regulate the genes of aging. Sirtuins, specifically SIRT1 and SIRT3, are intimately related to longevity through their control of gene expression and require NAD+ for their activity. 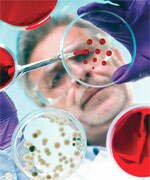 Research into the sirtuins continues to yield substantial information on how to control aging. By activating these sirtuins, we’re able to gain control over one of our body’s anti-aging “switches.” SIRT enzymes “turn off” certain genes that promote aging, such as those involved in inflammation, in fat synthesis and storage, and in blood sugar management. SIRT enzymes are activated by calorie restriction, the proven means of reliably extending life span in all organisms. The way calorie restriction activates anti-aging sirtuins is by increasing cellular NAD+. NAD+ is found in every single cell in the body,1 and is essential for efficient energy transfer from foods to tissues. NAD+ is also required for turning off genes that accelerate aging. Fatigue, loss of muscle strength, and fatty infiltration of muscles , resulting in reduced fatty acid oxidation (“burning”), thereby depriving muscles of their normal sources of energy. To avoid these degenerative processes, it is essential that steps be taken to optimize the amount of NAD+ in our bodies. By increasing intracellular NAD+ levels, age-related mitochondrial dysfunction can be reversed. One of the ways to accomplish this is by engaging in major calorie restriction, which has been proven to raise NAD+ levels and in experimental organisms tested to date, to extend life span. But most people find significant calorie restriction to be nearly impossible in practice. Fortunately, a method has been developed to increase NAD+ levels without having to alter dietary patterns, though Life Extension remains a strong advocate of calorie restriction for those able to consistently do it. Researchers have discovered a form of vitamin B3 that converts in the body to NAD+. Vitamin B3 is involved in over 400 enzymatic reactions throughout the body and is essential for production and management of cellular energy. A new patented form of this vitamin called nicotinamide riboside has been found to increase NAD+ levels and in the process, provide an extraordinary range of longevity benefits that promises to change how we combat aging. Directly boosting NAD+ with nicotinamide riboside presents a new and effective strategy for preventing the natural decline in cellular energy as we age by promoting youthful vitality. Studies have shown that nicotinamide riboside switches “off” the genes of aging, extends life span, increases endurance, improves cognitive function, activates sirtuins, and enhances cellular energy. These benefits add up to a system-wide slowing and reversal of certain aging processes. Nicotinamide riboside accomplishes this NAD+ boosting effect without the irritating skin flushing and rash caused by the standard forms of vitamin B3. In their investigations into the effects of nicotinamide riboside on life span, scientists used a strain of yeast known to have a relatively short average life span of about 8.3 generations. When the yeast was treated with nicotinamide riboside, the average life span nearly doubled, to 16.1 generations. On this model of life span extension, ordinary vitamin B3 had no effect compared to the dramatic longevity benefit shown with nicotinamide riboside. Nicotinamide riboside is a dynamic compound that works through multiple mechanisms to promote life extension. Most dramatic are its effects on longevity and metabolism, as shown by recent laboratory studies. 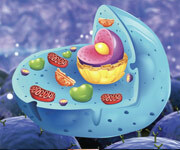 One critical mechanism in oxygen-consuming organisms is mitochondrial function. Mitochondria, the tiny, intracellular “furnaces” that power cellular processes, are sites of intense electrical and chemical activity. They can readily “burn out,” contributing to the aging of tissues, and hence, of organs and entire organisms. In a model commonly used to study life span modifications, the roundworm C. elegans could be made to survive as much as 16% longer when supplemented with nicotinamide riboside. This life span extension was demonstrated to result from a roughly 50% increase in healthy mitochondrial oxygen consumption, a measure of mitochondrial efficiency. These benefits are what one would predict from nicotinamide riboside supplementation, which raises levels of the NAD+ needed to safely move electrons through the mitochondria. We have long known that ineffective mitochondrial electron transport is an age-accelerating process. When pursuing additional lab studies, scientists found that supplementing mice with nicotinamide riboside reduced many dangerous factors of aging. The mice showed increased energy and improved insulin sensitivity, both factors indicating optimal vitality. In this study, scientists also demonstrated that nicotinamide riboside supplementation increased energy metabolism while protecting the animals against the metabolic abnormalities induced by a high-fat diet. For the study, the mice were fed a high-fat diet with either no supplementation (control), or nicotinamide riboside for 12 or 16 weeks. On a treadmill test, the supplemented animals fed a high-fat diet ran more than 33% further than the control mice, demonstrating a dramatic increase in muscle endurance and performance. The supplemented mice also gained significantly less weight while on the high-fat diet compared to control animals. And in supplemented animals fed either the high-fat or a normal diet, insulin sensitivity (the ability to remove sugar efficiently from the blood) was greatly improved, compared with control animals. Remarkably, these results were all attained without any differences in food intake or total physical activity between supplemented and control mice. The supplemented animals lost weight, performed better at exercise, and managed their blood glucose better purely as a result of nicotinamide riboside-induced increases in calorie-burning (measured by increased oxygen consumption rates). This was confirmed by the observation that when the supplemented mice were exposed to prolonged cold conditions, they had significantly less body temperature loss compared to controls, the result of increased conversion of calories to heat. Detailed analysis of the mice in this study revealed that supplementation with nicotinamide riboside had produced a significant increase in essential NAD+ levels, resulting in the activation of the critical life span-extending enzymes SIRT1 and SIRT3. Supplementation with nicotinamide riboside also improved the numbers and function of mitochondria , the intracellular powerhouses that release energy from food; poor mitochondrial function is a known age-accelerator. As cases of dementia and Alzheimer’s reach epidemic proportions in the aging population, pharmaceutical companies are aggressively researching brain protective compounds. 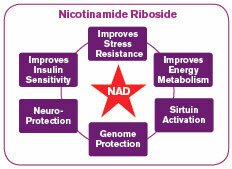 Nicotinamide riboside with its ability to directly increase NAD+ is providing promising brain benefits. A recent lab study demonstrated the ability of nicotinamide riboside to protect brain cells in advanced age. For the study, mice engineered to develop Alzheimer’s disease were treated with nicotinamide riboside beginning at middle age (5 to 6 months) and lasting into old age (10 to 11 months). The supplemented animals had significant improvements in their cognitive function in challenging laboratory tests of exploring new objects. This improvement was shown to be associated with significantly reduced brain levels of beta-amyloid plaques, the abnormal protein that triggers much of the neuronal death and dysfunction in Alzheimer’s disease. Intriguingly, supplementation had the added benefit of raising levels of the metabolic regulatory complex called PGC-1-alpha. 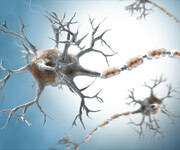 Studies have shown that low levels of PGC-1-alpha have been associated with increased dangerous beta-amyloid deposition. 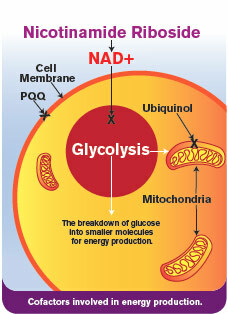 The mechanisms by which these effects were achieved were found to include significant increases in brain levels of NAD+ (the result of supplementation with nicotinamide riboside), and consequently activated enzymes involved in cellular energy production and energy release from glucose. In a similar study of neuroprotection, nicotinamide riboside was shown to delay the degeneration of axons, the “communication cables” of nerve cells that carry impulses over long distances. When these communication cables deteriorate, tingling, weakness, numbness, and loss of motor function can occur as a result. The mechanism behind this benefit was shown to be a significant 20-fold increase in the enzyme that converts nicotinamide riboside to NAD+. Other studies in mammalian cells in culture demonstrate that nicotinamide riboside treatment increases NAD+ concentrations inside of cells by up to 2.7-fold, and that administering nicotinamide riboside can improve NAD+ related deficiencies in animal and yeast cells. If you have followed my blog then you will know that I have been talking vitamin supplements for over 10 years. I also know what is good for my body and bad for my body as far as food is concerned. I have learned this by trial and error but I feel it gives me the edge over knowing that I can control what's going on inside me. I was recently introduced to a new product called Maximum Potency Coriolus (Polysaccharide PSK/PSP) which is aimed at boosting the Human Immune System. Not another one I hear you exclaim! Yes, that's what I thought. There are thousands of alternative health products out there, all professing to be the greatest new discovery that will cure all your problems. 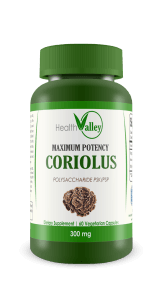 So what's different about Maximum Potency Coriolus? Well, firstly it's NOT NEW! The ingredients (for want of a better word) of Maximum Potency Coriolus are polysacharides called PSK and PSP which are derived from the Mycelia Extract of the ancient Coriolus Versicolor mushroom. OK, it's a mouthfull but you are going to become familiar with the name Maximum Potency Coriolus and the mushroom called Coriolus Versicolor as I am about to explain. At the time of the Ming Dynasty in China (a very long time ago), the chinese used the Coriolus Versicolor mushroom as a herbal tea to increase energy and wellbeing. It was used in that way for hundreds of years until Japanese scientists in the 60's developed a method to extract the polysacharide krestin or PSK. This was then used in powder or pill format to treat many serious diseases and is a standard cancer treatment in Japan today. In China in the 80's, Dr Wang discovered and patented a method to extract polysacharide peptide or PSP and together with PSK these ingredients are now also standard prescriptions for boosting the immune system in China, Japan, Korea and other Asian countries. Infact the sales of Coriolus Versicolor in these countries is many millions of $dollars every year. OK, if its that good, then why don't we know about it in the West? Oh, you are naive! That's what we all say at first, but the answer is quite simple really. In the western world our governments and drug companies have a completely different approach to medicine. We have been taught from an early age to abuse our bodies by eating rubbish and living unhealthy lifestyles. When we get ill, we go the doctor for a cure. This cycle has led to a society that overindulge and then expect to be repaired by someone else when we are broken. The upshot is that people die younger, saving the government on pensions, and drug companies make billions fixing people of their newly discovered disease. According to information released by the National Cancer Institute in January 2009, 10 years worth of treatments for breast cancer (which may be intermittent) cost an average of $21,000, while prostate and lung cancer hovered around $40,000. Why would these drug companies want to bypass such a great income for the sake of Our lives? - They wouldn't and they don't. So, should we be bothered? Well, I don't know about you, but I certainly am. So, getting back to Maximum Potency Coriolus. Where has that come from? Maximum Potency Coriolus is the PSK and PSP derived from mycelia extracts of the Coriolus Versicolor mushroom. It is bottled in the China in an FDA registered bottling facility that is CGMP compliant (Current Good Manufacturing Practices) and sold as a dietary supplement world-wide. The product can be shipped anywhere on request. So, OK, What do we do with it? - Who should take it? Well, firstly I would recommend that anyone and everyone will benefit from Maximum Potency Coriolus. It is highly unlikely, in this present climate of chemical polutents in the air and in our food, that your body's immune system is healthy enough to fight daily living in the 21st century. Maximum Potency Coriolus can be taken as a daily immune booster, or in the case of someone who is "fighting a disease" they can take an increased dose to help the body fight from the inside. There are over 400 clinical studies on the Coriolus Versicolor mushroom and how PSK and PSP operate in an amazing way to help your body beat disease. The scientists in the East have recognised this for many years and if our governments don't want to wake up and bring this to the West, then we just have to do it ourselves. Roll on Maximum Potency Coriolus. I started taking Maximum Potency Coriolus as a supplement in August 2010. The bottle comes with 60 capsules and I was taking 2 a day. However, it was later recommended that to take about 4-6 daily for the first month would give my immune system a quick boost and then I could go back down to 2 a day. I actually decided to take 3 in the morning before breakfast and 3 late at night before going to bed. I have now been doing this for many years (give or take a few months on and off) and I have to say that I seem to have a noticeable increase in energy. I also have a clarity of mind and am sleeping better. Of course, I'm pretty healthy and not currently fighting a disease, but that's the whole point! I can't remember the last time I went to the doctor... in fact you would have to take me kicking and screaming. OK, that's what you say - How can we believe you?